The Anthropology of Performance is an invaluable guide to this exciting and growing area. 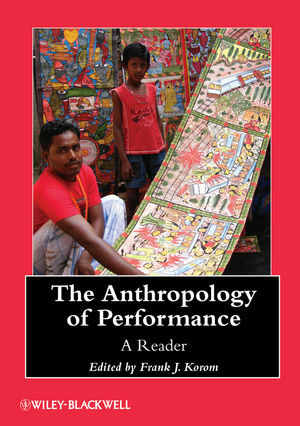 This cutting-edge volume on the major advancements in performance studies presents the theories, methods, and practices of performance in cultures around the globe. Leading anthropologists describe the range of human expression through performance and explore its role in constructing identity and community, as well as broader processes such as globalization and transnationalism. Frank J. Korom is Professor of Religion and Anthropology at Boston University, where he teaches courses on verbal art, anthropology of religion, and cultures of South Asia. He has conducted extensive fieldwork in India, Sri Lanka, Trinidad, amongst other places. His interests range from ritual and performance studies to visual and material culture. His extensive publications include Hosay Trinidad: Muharram Performances in an Indo-Caribbean Diaspora (2003) and Village of Painters: Narrative Scrolls from West Bengal (2006).